Ernest Doe are proud to be an authorised Wessex ProLine dealer. When you invest in a Wessex product, you are buying into a rich heritage of excellence in groundcare equipment that stretches back for over six decades. Wessex products are tried and tested, making them operator safe and suitable for a wide range of applications. Wessex have earned their reputation by delivering customers high quality products and solutions, with equipment being crafted to the highest standard. You can be sure Wessex will keep you on the cutting edge. All Wessex products have full parts, repair and service support from Ernest Doe. The ultimate in wide area mowing. With the Proline RMX triple deck your mowing time will be greatly reduced, making it the perfect choice for large amenity areas. 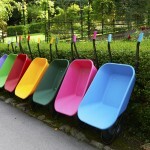 For smallholders and gardeners of country estates. Leaves grass looking a cut above the rest. Built to perform in demanding conditions. Suited to controlling dense vegetation such as bracken, brambles and long grass, the Wessex AF series flail mowers have been developed to meet the needs of contractors, farmers and estate owners and for the maintenance of forestry and woodland areas. 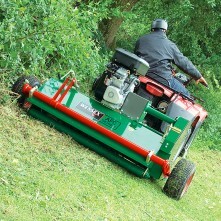 Ideal for collecting autumn leaves, grass clippings and scarifying debris, on all areas from car parks to sports turf. Supple yet durable bristles, collect without scratching. Can be towed behind an ATV, utility vehicle, garden tractor or 4 x 4 or any vehicle with a 50mm ball hitch. Groundcare machinery is available at Ernest Doe branches in Cambridgeshire, East Sussex, Essex, Hertfordshire, Kent, Norfolk, Suffolk, Surrey and West Sussex.